Hello, when I want to export a .psd to dropbox I get a error. 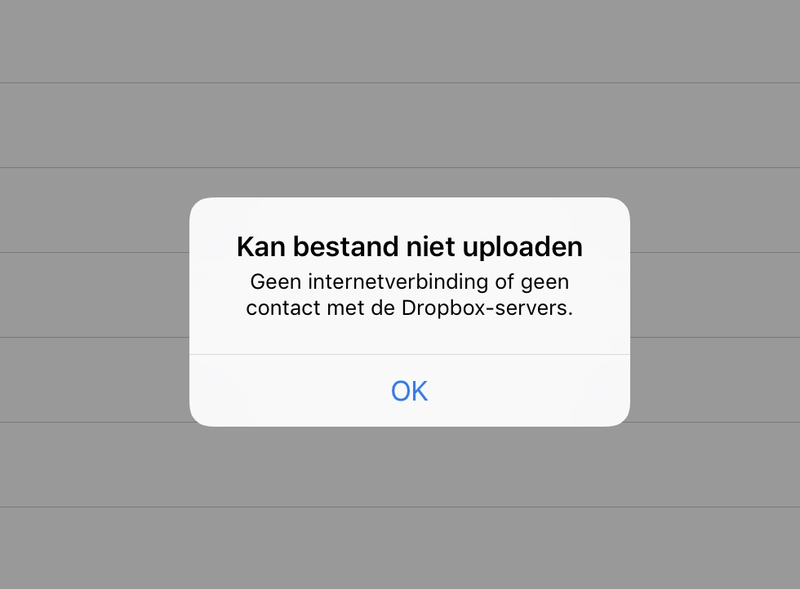 No internet connection or no contact with the dropbox servers. I am trying to export a file 51200x2880 +- 230mb and 30 layers. When i upload a smaller file I get the same message but in the end it is uploaded an viewable in dropbox. The bigger files aren't complete i cannot open it in dropbox, no preview either. I can upload to icloud but i don't have that much storage there. I'm getting the issue on our desktop versions too and it seems to be restricted to PSD's. Development have replied and said it is an issue with Dropbox, not I'm not convinced as I can export a file from PS to PSD on Dropbox without an issue. I hope it will get solved if possible but when it cannot be solved i will use icloud for temporary upload and move it myself to my dropbox.